The Green Bank Telescope was designed and built by NRAO, beginning observations in 2000. 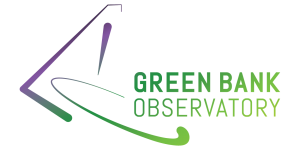 As of October 2016 it is now operated by the independent Green Bank Observatory. Visit the Green Bank Observatory website to learn more! Scientists come from around the world to use the Green Bank Telescope, because it is the most accurate, versatile, large dish radio telescope in the world. Its suite of receivers covers 100 MHz to 100 GHz in frequencies, its processors can spot nanosecond timing differences in data, and it observes under radio-quiet skies. The GBT can be used to do chemistry, physics, radar receiving, and astronomy and has no equal in the world. More than 900 different scientists have used the GBT in the last five years, and there is only a one-in-four chance that a scientist’s research proposal will be chosen. The competition is high, because this telescope is the best of its kind in the world. The giant 2.3-acre dish surface of the GBT is an enormous bucket for scooping up the weak radio waves that rain down on us from objects in space. In radio astronomy, this means the GBT is super-sensitive to the super-faint clouds of hydrogen that hang out between the stars and galaxies. Hydrogen is the Lego of the Universe, so studies of where it gathers, what’s happening inside those cloudy gatherings, and where those clouds are heading are crucial clues to piecing together the history and future of our Galaxy and others. Comets brighten if they swing in toward the Sun, because the Sun heats and blasts their icy surfaces. As their secrets boil out into space, comets reveal to us the building blocks of the early Solar System, the water and organics that seeded the Earth with the chemicals of life. The GBT observes these city-sized snowballs before, during, and after their trips around the Sun to learn about their temperatures and chemistry. Seeing the often-faint signals of the complex molecules needed for the chemistry of life requires a sensitive telescope observing in high radio frequencies. Currently, the GBT is the only large telescope that fits those specification, which is why it leads all others in the discoveries of life’s critical molecules out in space. The GBT discovered simple sugars and the precursors to nucleic acids — both needed to make DNA — in the cold clouds near the center of our Galaxy. The bricks of life’s chemistry exist beyond Earth and its Solar System. With a big dish comes a big responsibility: load of data analysis. If our processing equipment isn’t powerful enough, then we will not see all of the details the GBT collects for us. Tiny delays in a pulsar’s pulse arrival, for example, can be the evidence for a warp in the fabric of space near that pulsar caused by another heavy object. Physicists can calculate the weights of the objects in such a system to high accuracy, if they have the exact timings. The delays can be only a hundred nanoseconds long, that’s a ten-millionth of a second! Routine and regular observations of pulsars can map changes in gravity in the environments around them and give us detections of the elusive gravity waves proposed by Einstein. When the GBT is used as a partner with a transmitting radar antenna, it can be used to map asteroids, moons, planets, and comets to a level of accuracy that is often better than spacecraft which are actually in orbit around those objects. Also, radar penetrates the soft surfaces on some of these worlds, giving geologists the kind of details they could only have gotten by landing on them. We can measure rotations of these worlds by making radar observations over time. Keeping a close eye on passing asteroids in particular helps scientists figure out if these worlds’ spins are slowing down or speeding up, which factors into whether or not their orbits around the Sun will change over time. With so many asteroids crossing Earth’s orbit, we want to get the traffic patterns known to high precision. Specialized receivers on the GBT have recently given it the power to measure redshifts of very distant galaxies to high precision. We can begin to assemble a 3-D map of the galaxies in the Universe which translates to a structural diagram of the Universe. A companion project uses the GBT’s sensitivity to map the brightness of hydrogen in large volumes of space, preparing a kind of cosmic web of unseen matter to weave among the seen galaxies. Cosmologists interpret the signatures of the Universe’s mechanics, the mysterious dark energy of its expansion and the dark matter of its galaxy-building, by comparing these data.